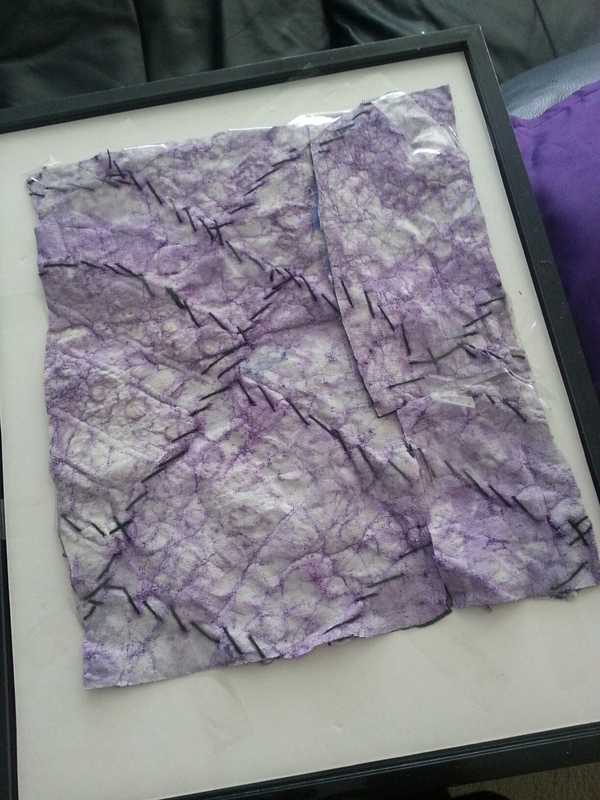 First I cut the fabric slightly larger than needed so that I could tape the excess on the back of the mat…. This is the final result…. 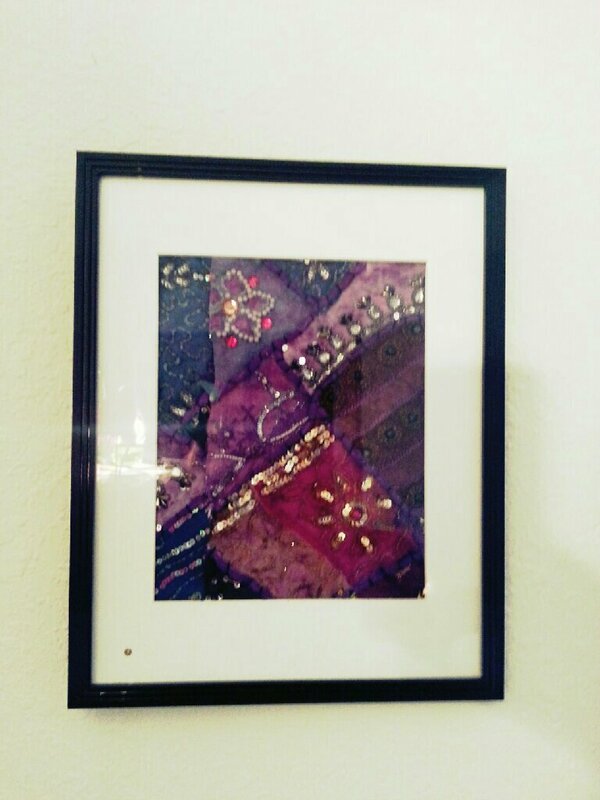 I think framing beaded fabric would look even better in a shadowbox frame to really get a sense of the texture…. 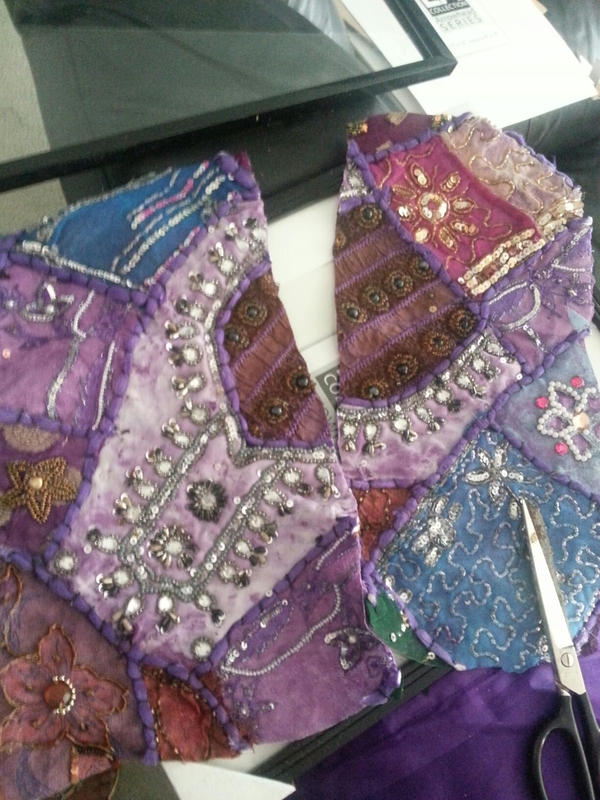 I like the way it looks and I may continue to add to the wall if I ever come across more beaded sari styled fabric. 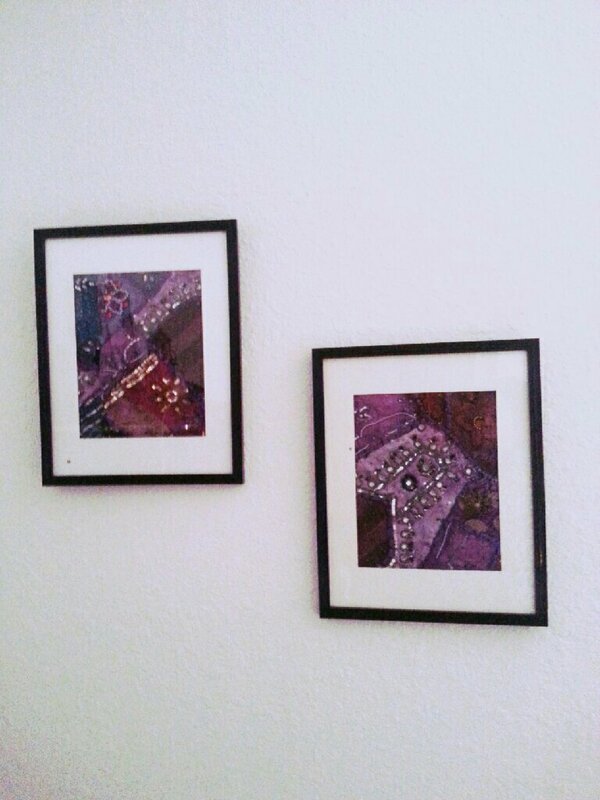 I will say this makes me want to paint the wall a charcoal gray so the jeweled tones of the fabric can pop! 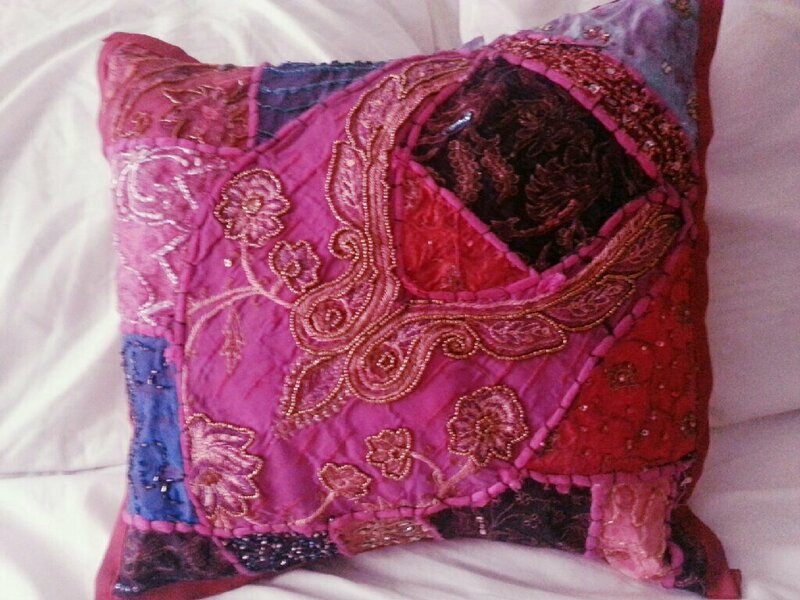 Finally I used a pillow insert to stuff the other beaded pillowcase as a toss pillow for the bed. 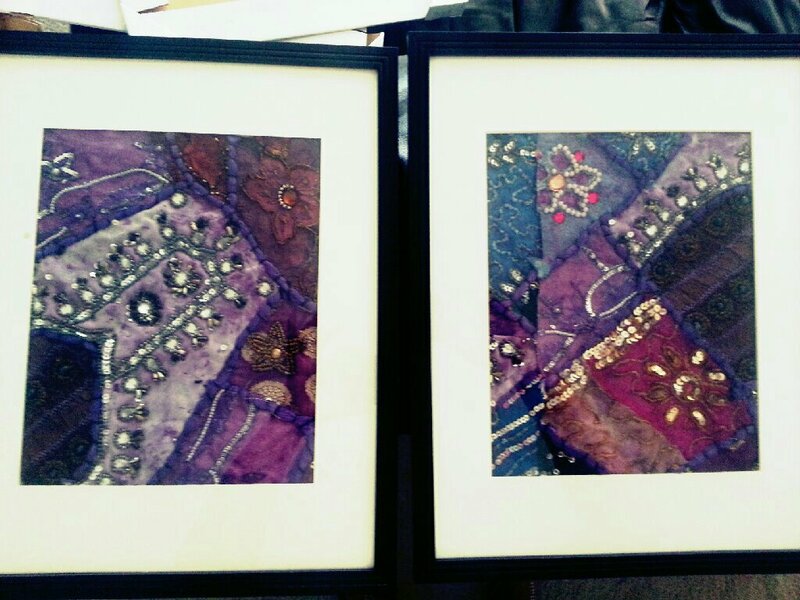 I spent $21 for both pillowcases and the frames were on sale for $4. I felt like I shopped my own home as I’ve had these for a while now. 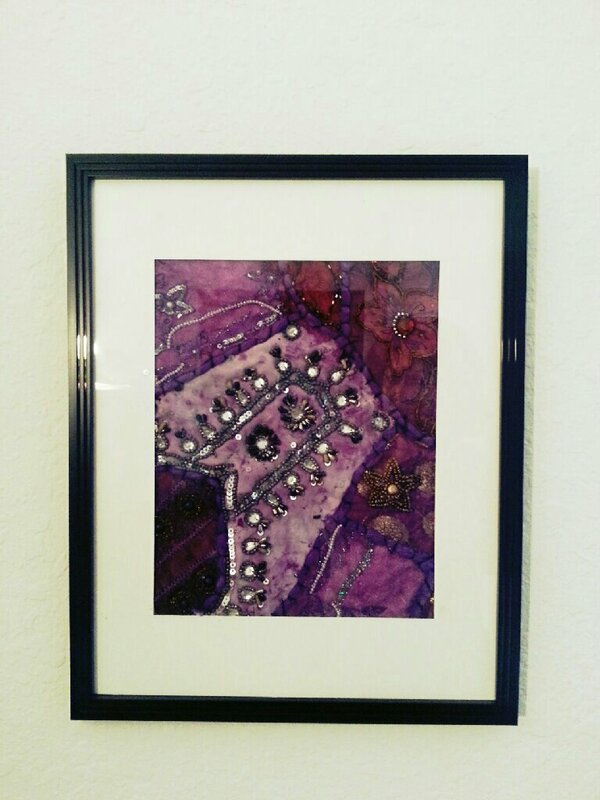 So if you have frames laying around and additional fabric samples, a scarf or tablecloth…don’t be afraid to cut it up and repurpose it as artwork.